Pick up a package of ground cinnamon from a souk in Morocco, or you may just want to have your protein powder near you, always? You may be better off checking it, thanks to a heightened Transportation Security Administration screening that will soon go into widespread effect. The TSA says that more than 12 ounces of powder will now be subject to additional screening—that’s about the size of a can of soda, for reference—and fliers will be asked to remove the packages from their carry-ons, much like we currently have to do with liquids. (Dry shampoo, baby powder, and make-up powders all count under the TSA’s new rule.) Another reason to check your Croatian oregano or powdered face wash? If agents can’t identify what exactly the “powder” is, it may get tossed. The move is in response to an attempted plot to blow up a passenger plane in Australia last July, said a TSA official, though powders have long been a concern as a way to smuggle improvised explosives, fentanyl, and pepper spray. Along with cracking down domestically, the TSA is asking foreign airports with non-stop U.S. flights to implement similar security measures beginning June 30, and Australia has already announced it will be enforcing stricter rules as of that date. All passengers flying out of Oz on international flights and those on domestic flights departing from international terminals will have all powders in their carry-ons screened at security. Those powders will also need to meet new size limits—”inorganic powders” like talcum powder or detergent will no longer be allowed to exceed 350ml (11.8 ounces) in volume or 350 grams (0.8 pounds) in weight, The Independent reports. 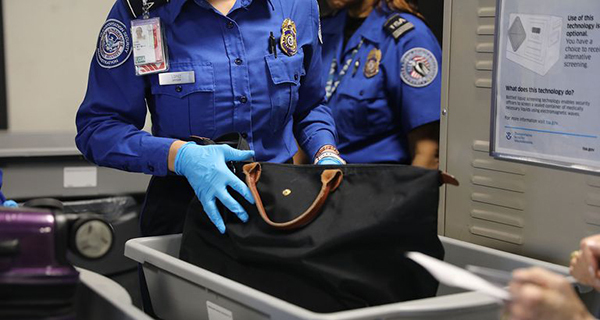 The TSA began scrutinising powders last summer as part of the agency’s larger security measures, which included requiring travelers to “remove all electronics larger than a cell phone” from carry-on bags for screening. Time to factor in even more cushion time for your pre-flight screening.